New Ford Edge vs Kia Sorento | What Car? For many people, an SUV isn’t a vehicle they want to buy, but something they need. 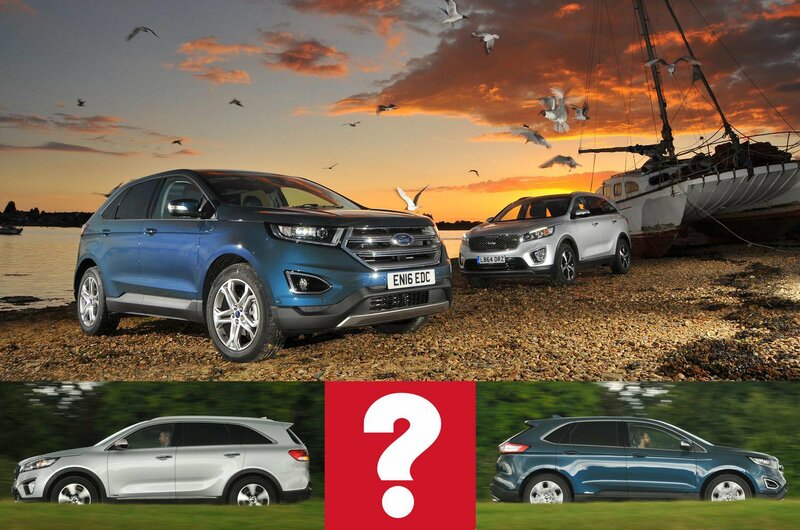 Fortunately, whether you have a family to ferry around, a trailer or caravan to tow, or need the all-weather traction of four-wheel drive, one of these big bruisers from Ford or Kia should tick all the boxes for less than £35,000. 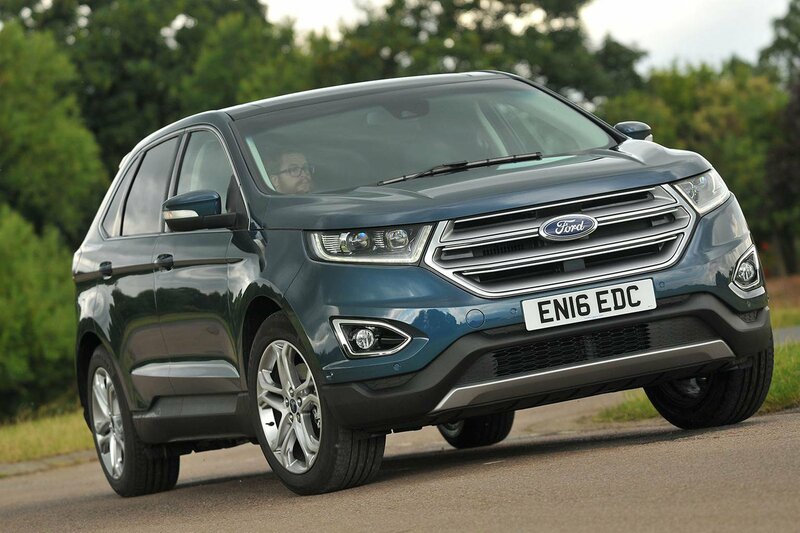 New to the market is the Ford Edge, the first large SUV the company has sold in the UK for some 15 years. It’s a spacious five-seater that’s based on the same platform as the Ford Mondeo family car rather than some primitive American truck. Here, we’re testing the mid-range Titanium model. 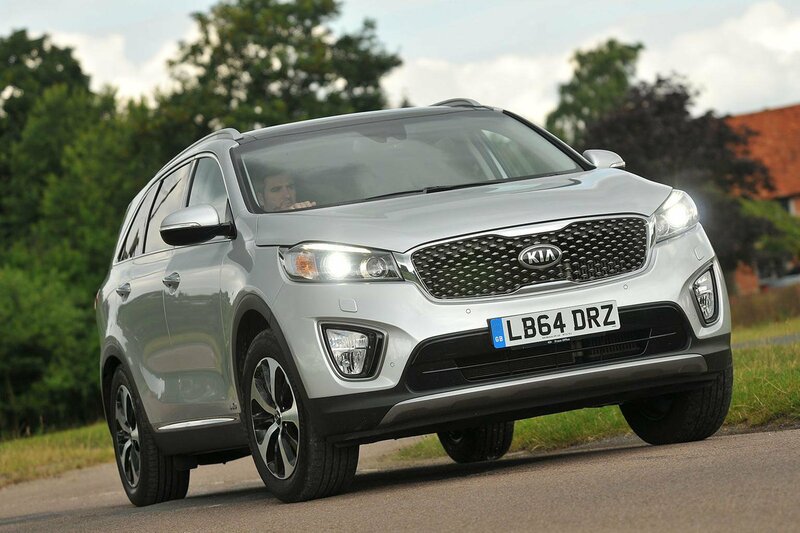 Our other contender is the Kia Sorento, which is one of our favourite seven-seat SUVs. It’s a little cheaper than the Edge, yet it has the advantage of two extra seats and a seven-year warranty. Is that enough to put it ahead of this new rival? Given the rather large proportions of these cars, it’s just as well that both are fitted with gutsy diesel engines. True, the Edge has a smaller engine, but it actually has more power than the Sorento’s. The Sorento is quicker from 0-60mph, but the Edge accelerates more briskly if you put your foot down once the car is on the move. The Edge’s dual-clutch automatic gearbox helps here, shifting quicker than the Sorento’s conventional automatic gearbox. However, both cars change gears smoothly, with the Sorento particularly impressive in this regard. If towing capacity is a priority, it’s worth noting that the Edge can haul 200kg more than its rival. That said, the Sorento’s 2000kg capacity is still enough to tow a large caravan. There’s a bigger gap when it comes to handling. The Edge’s steering is more precise than the Sorento’s, helping you place the front of the big Ford easily in corners. What’s more, the vagueness of the Sorento’s steering means that you have to make small corrections to keep in the centre of your chosen lane, especially on the motorway. Adding to the Edge’s advantage is the fact that its body rolls over less when it’s cornering, helping it feel keener to change direction. That’s not to say the Sorento is sloppy, however. It still resists roll well for such a big car, and it can be hustled through a series of bends briskly enough. The Sorento's ride feels softer in corners, so you might expect it to be the more comfortable car. However, the Edge stays more controlled over bumps, and it copes better with poorly repaired roads, despite its wheels being an inch larger in diameter. Throw in the fact that the Edge is a quieter cruiser, due in part to a noise cancellation system that works in much the same way as high-end headphones, and it is undoubtedly nicer to drive.